The pun involved in the title of this Erato release may be unfamiliar to many Anglophone listeners; the Italian word « giovincello » means, roughly, « lad. 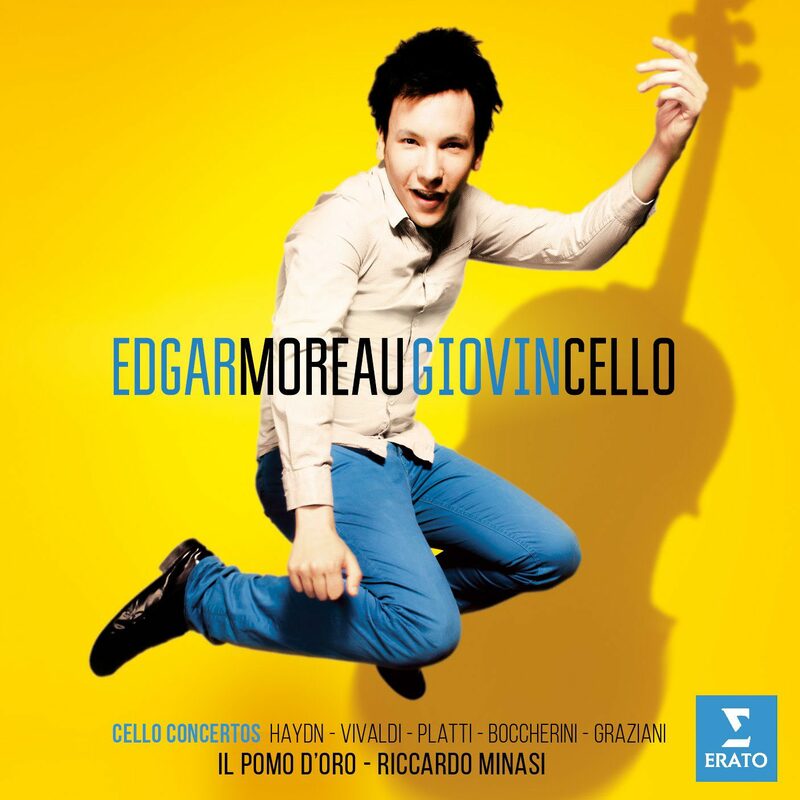 » Yet the high spirits of the joke seem appropriate to the playing of French cellist Edgar Moreau, who in fact fits the description (he was just 20 when the album was recorded). The music, too, is redolent of the carefree middle 18th century. The album is a must for one performance above all: that of the Boccherini Cello Concerto in D major, G479, whose fizzy, ebullient quality matches Moreau‘s personality to a rare degree. Sample the exuberance of the finale and see if you can resist reaching for your credit card. The Vivaldi Cello Concerto in A minor, RV 419, with its crack, brusque finale, is very nearly as good, and Moreau has the requisite effortlessness in the virtuoso concertos by Giovanni Platti and Carlo Graziani heard here, works that must have been no consolation to the sick and penniless Vivaldi, dying in Vienna, for they don’t come close to his own accomplishments in the field even as they directly followed him. The Haydn Cello Concerto in C major, Hob. 7b/1, is almost a curtain-raiser here, an insubstantial bit of cantabile before the instrumental wonders to come. Erato errs with an over-live acoustic (the location is not specified beyond to say that is in Lonigo, Italy) that does not let Moreau‘s range of tone speak for itself, but Moreau gets just the right kind of flashy support from the historical-instrument group Il Pomo d’Oro and leader Riccardo Minasi. A genuinely exciting new artist here, who is at the same time a representative of the great French conservatory tradition.